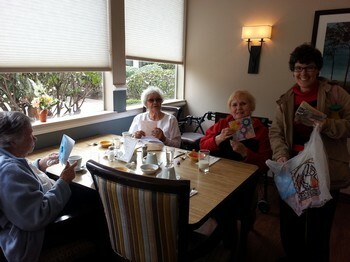 I met Aktion Club Members Michele Appell, Jaimie Appell and Noah Bundy today at Sagebrook Senior Living in the Crossroads area and we delivered 30 Easter Cards to the residents that live there. 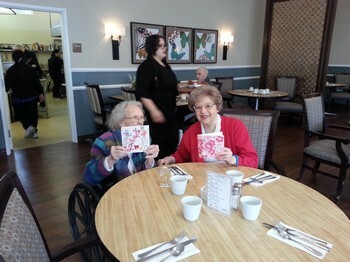 The Aktion Club members made some very beautiful cards at their last 2 monthly meetings and the residents at the retirement home were very happy to get them. (See attached pictures). 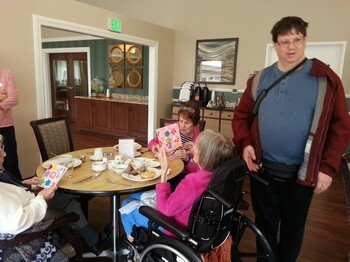 This was a very heart warming experience for me and the Aktion Club Members to see the faces of the residents when they were handed an Easter Card and to get many "thank you" responses from them. 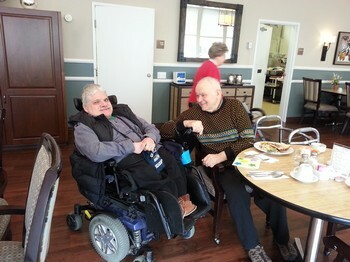 Believe it or not, there were about 5 people at the retirement home that recognized Noah or he recognized them from prior events. A good time was had by all today.